Matt Cassel did not attempt a pass, Jamaal Charles did not have a rushing attempt, and Dwayne Bowe did not recieve a pass. Therefore, no risk of injury; that's a positive that nobody was injured, but at the same time us fans want to see the progress the players have made throughout camp. The same went for our defense. 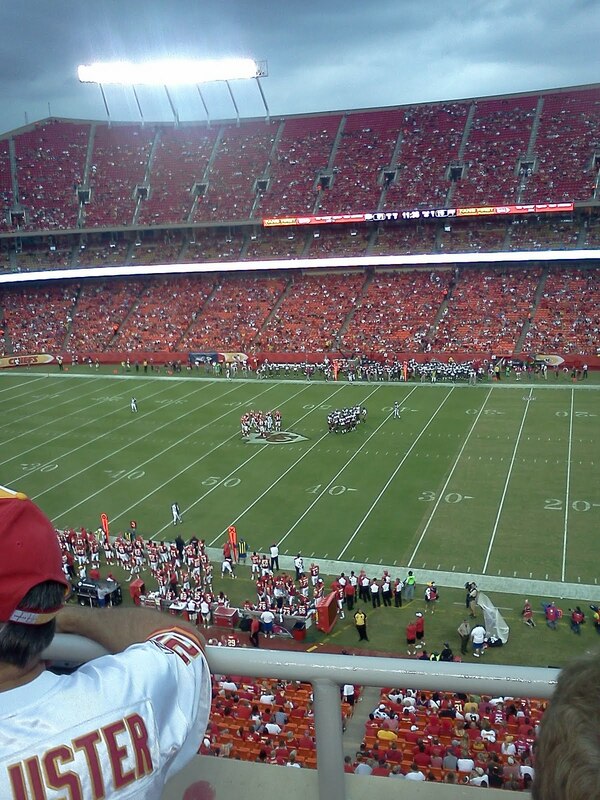 Tamba Hali, Derrick Johnson, Kelley Gregg, and Glen Dorsey did not play Friday night. It was hard to judge our defense when nobody played. The positive is, these young players are competing for a spot on the roster. I did not see anything that blew my mind from our rookies and backup. Ricky Stanzi looked promising at times and can see him taking the second string quarterback duties from Tyler Palko. I just have no faith in Palko and if he is our first option if Cassel were to get hurt, that could spell T R O U B L E. Our offensive line did not help him Friday night, but you can not take a safety. Speaking about the offensive line, we have signed offensive tackle Jared Gaither. Gaither played for the Ravens and will be an competing for a starting position, right or left tackle. Jonathan Baldwin had one catch and almost two. He made an remarkable catch but unfortunately he was ruled out of bounds. The incomplete pass did show his athletic ability to go make a play on a bad pass, so there was another positive. Overall, not much you can take from this game. It showed you the Chiefs have a lot work to still do in training camp. 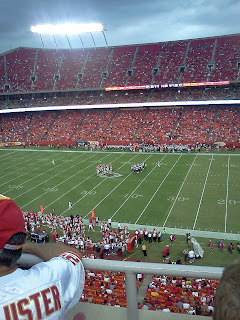 Chiefs will hopefully have a better outing next Friday against the Baltimore Ravens. What did you take from the game? Any players that stood out to you? Leave your thoughts and feedback.